Representations of Charlotte Brontë’s novel Jane Eyre have proliferated since its publication. Within three months a play had been staged and at least eight plays had been performed by 1900. From 1910 onwards the story was also re-cast for film. Eight silent and fifteen feature film versions of the novel have been produced, each one offering distinct depictions of key scenes. Meanwhile fan fiction responses have created entirely new rooms, scenes and landscapes which further expand the imagined space of this iconic work. 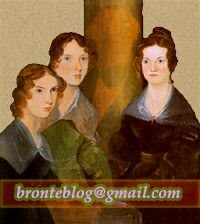 In my paper I will consider how film versions of Jane Eyre have influenced recent fan fiction. Two of the most popular scenes recast by fan fiction authors are the first view of the hero - Jane Eyre’s dramatic first encounter with Rochester as he plummets from his horse in a literal figuring of the coup de foudre - and the story’s ‘Happy Ever After’ scene in which the hero and heroine achieve romantic union and resolution of the various obstacles faced during the novel. These key scenes in Jane Eyre have fundamentally shaped the imagined territories of the romance novel. Many fan fictions are directly inspired by cinema, by the desire to pair specific actors within the Jane Eyre storyline, and by the ability to assert individual preoccupations and fantasies onto the narrative. In a complex interplay between author and reader, actor and character, heroine and hero, fan and star, these versions subvert the authority of Charlotte Brontë’s vision even while they remain in thrall to it. Vembar, Harini, Umeå University, Faculty of Arts, Department of language studies.